As a proud Canadian already involved with Canada’s 150th, Randall is honoured to be an ambassador for Canada C3. An early pioneer in the software industry, Randall has parlayed his strategy and technology prowess into investing in people and innovation for the 21st century. VERDEXUS is an activist investor building globally leading software companies headquartered in Canada. 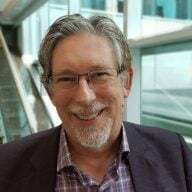 In recent years, Randall has divided his time between this technology investment and investing time, passion and money into social enterprises that improve Canada and the world. With a key focus of social innovation, especially around entrepreneurship, environment, arts and impact investing, the only constant is driving change for the better. Randall was recognized as the 2014 Canadian Angel Investor the Year and the 1997 High Technology Entrepreneur of the Year. Some of Randall’s national and local projects having societal impact, include co-founding the Middlebrook Prize for Young Canadian Curators, building an accelerator connecting Canadian startups to China (China Angels Mentoring Program), a climate change summit at Elora Environment Centre and Board Chair at Centre Wellington Community Foundation.